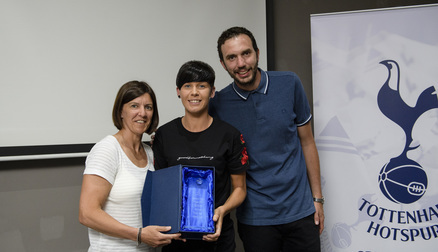 ​The Lilywhites celebrated their first season in the Women’s Super League 2 with Bianca Baptiste, Sarah Wiltshire, Ashleigh Neville and Renee Hector winning awards on the night, writes Owen Barnard. 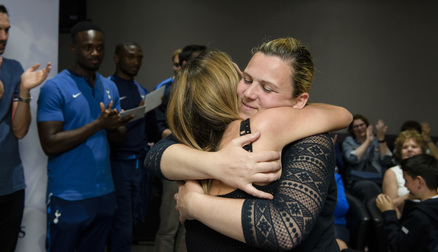 Manager, Karen Hills’ message emphasised her love for the family-like relationship between people involved in the club and thanked everybody who had contributed to the season. 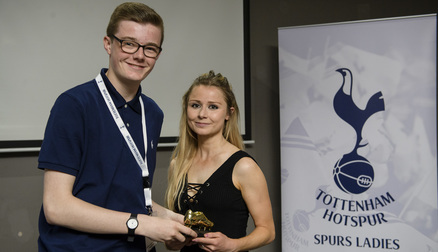 Awards were given to players based on their impact on and off the pitch, as Sarah Wiltshire scooped the Goal of the Season award and came as runner-up in the Spurs Ladies Supporters Club voting. 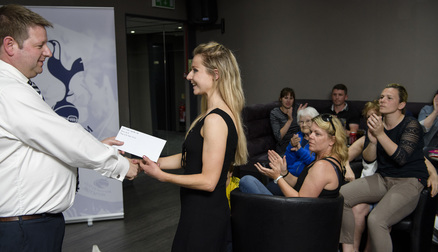 Neville won the Players' Player award and the Supporters Club Player of the Season accolade for her dedication to the team, with both having outstanding debut campaigns. 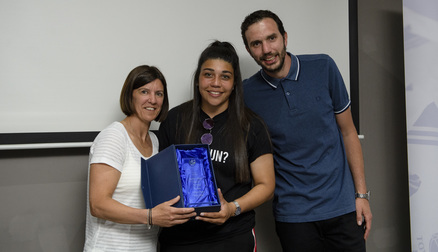 Hector won Manager’s Player for her ability on the pitch and for running events; such as weekly walking football sessions, football for 5 to 11-year-olds and increasing female participation in football in Haringey and Brent. 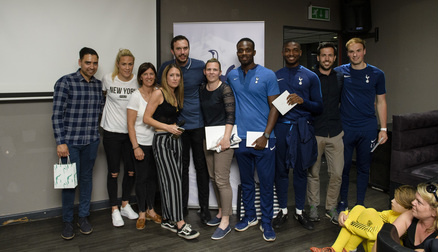 Baptiste won the Golden Boot for being Tottenham Hotspur Ladies’ top goalscorer. Karen Hills used her speech to highlight how the ‘family’ within her squad has been added to by the new signings from this year, and that she hopes the club remains united and together forever. 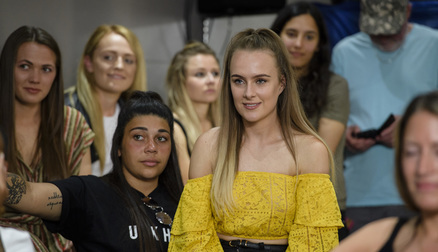 Hills thanked retiring goalkeeper, Toni-Anne Wayne for what she had done for the team on the pitch and her help towards training the younger goalkeepers at the Club. For her contribution to the side during her four year stint, she was presented with a Spurs shirt which was signed by all of the players. She also recognised the people involved in the Club for their contribution towards the work put in behind the scenes; saying that they had helped to grow the team to the level it is at today and she intends to keep growing the team on and off the pitch. Captain, Jenna Schillaci used her speech to emphasize the huge impact that all the staff have had over the course of the year; thanking Hills, Assistant Manager Amoros, performance analyst Jamal and Social Media Executive Khalid for their help during the season. 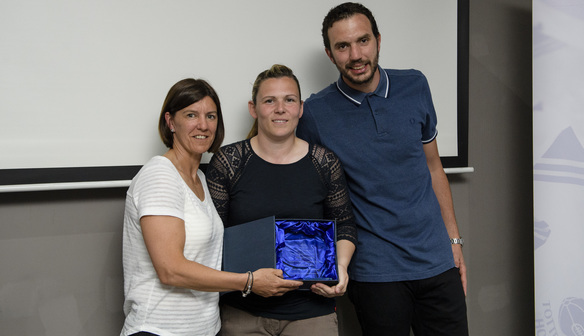 She also joined her manager in thanking Wayne for her excellent four seasons with the Lilywhites, and assured Wayne that she would be sorely missed by everyone involved with Spurs Ladies. Wayne described the season as: “Successful, we came into this division not knowing what was going to happen and other teams in the league didn’t know what we were about either.” She said the players can achieve: “Anything they want to” next season. She plans to focus on other interests after she retires, such as hockey and spending time with her family.  After a successful season in a different league and a new standard of football, Tottenham Hotspur Ladies will rest until preparation for when the 2018/2019 season begins in the re-branded FA Women’s Championship where they will aim to build on this season’s successes.